Low-cost worldwide web hosting with UK-based support and a free domain name. Fast, reliable web servers are an essential choice when looking for a web host. I am proud to provide only the highest quality hosting services, from the most reliable datacentres worldwide, monitored 24/7/365 by a dedicated team of hosting experts to ensure a premium quality service. Utilising the highest speed Windows or Linux hosting solutions that are both affordable and highly effective located in data centres in London, Washington and San Francisco, every web hosting plan comes with a 30 day money back guarantee, 99.9% uptime guarantee, and is fully guaranteed to fulfill your requirements. Should you not see a hosting plan that meets your requirements, please contact me to construct a custom hosting plan that meets your every need. 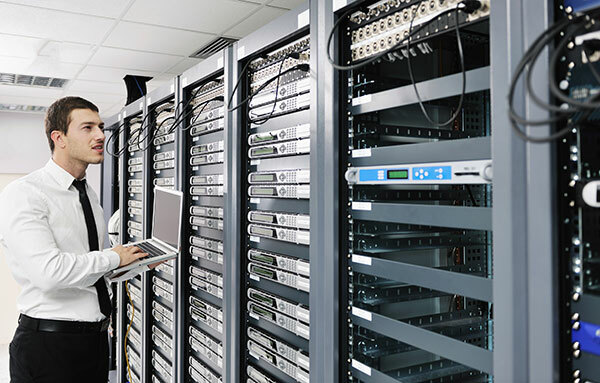 I am able to offer dedicated servers, virtual private servers, cloud based hosting and bulletproof firewall hosting for those that are safety conscious. Below you’ll also find a detailed structure of my most commonly used hosting plans. The minimum contract on all hosting plans is twelve months to offset the initial administration and management costs. Please keep in mind these are just typical hosting plan prices and each website or server hosted will benefit from custom made hosting that’s scalable as your business grows. Each hosting plan comes with a FREE domain management service, meaning I’ll manage your domains for you with the minimum of fuss. From July 2015, client-side 24/7 web hosting support is available to my web hosting customers for £5 per month to give you the ultimate peace of mind and priority fixes on any problem that may arise. This gives you direct contact with the end-hosting providers, enabling you to keep up to date with any situation, live. Keeping in mind that our uptime is in excess of 99.8% guaranteed, this is generally unnecessary and an optional step, but if you’re the type of client that wishes to get “hands on” to find out what’s wrong at any time of day, this may be for you.